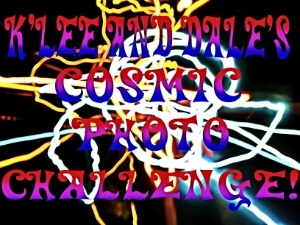 Hello and welcome to a new week, it’s time to get up close and personal for today’s Cosmic Photo Challenge. On Friday, I left you a prompt which asked for close ups of whatever you fancied shooting; whether that meant photographing miniscule insects, doing an intimate portrait study of your own face, or zooming into the microscopic world of cells and crystals, making tiny stuff bigger is essentially what we’re after here. 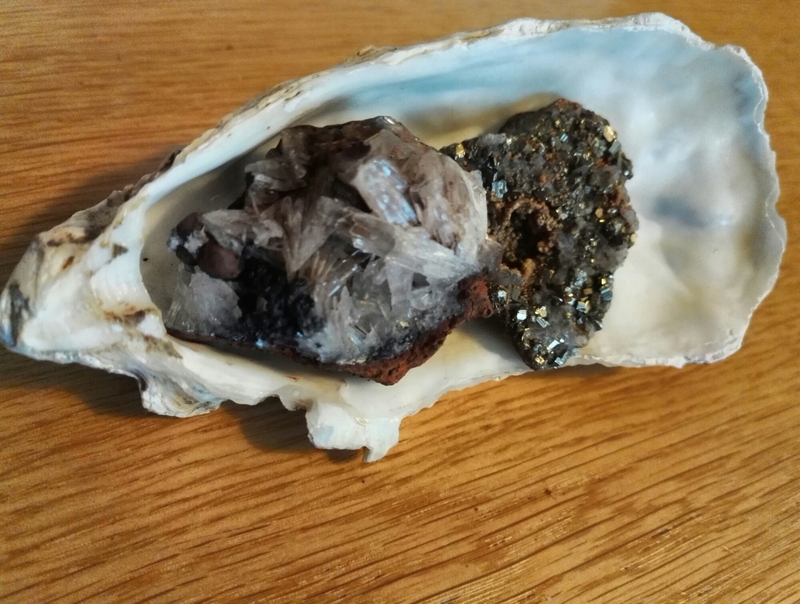 I chose to go with a couple of interesting rocks from Audrey’s selection of gemstones, fossils and geological curiosities that she has collected or been given over the last few years. I thought I’d post both the full sized and close up versions of the two specimens, along with this first shot of the pair of them inside a 5″ frog mussel shell, to give you an idea of scale.